﻿ Duriworld House, Seoul | FROM $9 - SAVE ON AGODA! "Hostel owners pretty friendly, speaks good english too." Have a question for Duriworld House? "it was surrounded by hype club and good cafe." "Grace has been an accomodating and warm host." "There are breakfast and the bread is awesome." "This place is awesome for backpackers." Planning an incredible trip is easy when you stay at this nine-bedroom house in Hongdae, Seoul. The rooms here overlook the city, so you can peer out at the lively city streets. This house is close to Trick Eye Museum, Dress Cinema, Gallery Zandari, Hongdae Free Market, and Hana Golf Baekhwajeom. With safety deposit boxes, a smoking area, a convenience store, and a currency exchange, it has various convenient features to make your stay more comfortable. Offering guided tours, it is a great place to stay to learn about your surroundings and see everything you can while you're here. It features three floors and nine bedrooms. This house offers a grocery delivery service and a shared kitchen, so there is an assortment of dining and snacking choices. It offers family rooms, so you can all spend quality time together during your stay. There's free Wi-Fi in all rooms, as well as Wi-Fi in common areas, connecting you to the internet so you don't need to purchase a local sim card or spend on international charges. From daily housekeeping to laundry services, the house has various useful services for you to utilize. It offers check-in from 02:00 PM and check-out until 11:00 AM. It provides an express check in and check out service, allowing you to avoid waiting in slow-moving queues when preparing for your flight home. This house provides a variety of transportation options, such as taxi services and airport transfers. Hongik University Subway Station is 390 m away and Mangwon Subway Station is 930 m away. The nearest airports are Gimpo Airport (GMP) and Seoul Incheon International Airport, which are situated 10.4 km and 43.2 km away. "The place was comfortable, clean, and easy to reach from sub..."
It’s a great place to live Everything are great and somoon(manager of the guesthouse) is very kind. She help me a lot. The room is comfortable. The one thing I think isn’t good is that the water of bathroom is hot and cold. But anyway it doesn’t matter, it still a great place to come. I booked the Single Studio and it was big enough for a solo traveller - bigger than some places I've stayed in Seoul. Getting to the guesthouse is relatively easy - I prefer using the exit 1 route as it's more straightforward. It is less than a 10-minute walk, depending on how fast you walk. The room was cleaned daily and I enjoyed the privacy given. Breakfast options were limited, but nonetheless great. I enjoyed my stay there. Recommended. The lovely staff Somoon are friendly, fluently english and helpful. Room is clean and wifi is good . The location is 8 mins walk from Hongik Univ. Station . The free breakfast with Coffee, milk, egg, bread ,ham n cheese, orange juice etc , they also provides the towel ,shampoo, conditioner, shower gel n toothpaste . But the hot water supply was not stable . Overall , is a good place to stay and I will definitely stay here again if I'm coming back to Seoul . Everything was satisfactory. But I have a hard time when I'm in the shower. The temperature of water was very unstable. Located 15 mins walking distance from Hongdae shopping street. Near to Hongik Station Exit 2. Room is pretty small, but equipped with kitchen, pots and pans. No warmer during winter, only floor is heated. Hostel owners pretty friendly, speaks good english too. This place is awesome for backpackers. There are breakfast and the bread is awesome. The room has password lock so I feel quite safe. The staff is very friendly and speak well in English. The guesthouse is near to convenience store and many restaurant. Overall I enjoyed staying here. My 2nd time staying here. It might be a bit far from Hongik station, but then it was quiet and nearer to some of the small coffee shops and cafes. I love the breakfast prepared 💕💕. For just a hostel, the breakfast given was more than the usual bread and coffee. The staff was super nice and helpful. Will come back if I need to stay in Hongdae again. Im glad I booked Duriworld during my stay in Seoul last week. The price worth the facilities. The place was comfortable, clean, and easy to reach from subway station. It's close to some convenience stores and the famous Hongik shopping street. Breakfast's available (toast, bread, egg, cereal, tea, coffee, etc). New towel everyday. Also, Somoon unnie was very kind! Will definitely recommend to my friend and stay there again if I visit Seoul. The guesthouse seems to be a bit old but feel very warm. The staff is very friendly and respond very fast. The staff is very easily to reach because the phone to call their private number in case they are not in the reception. 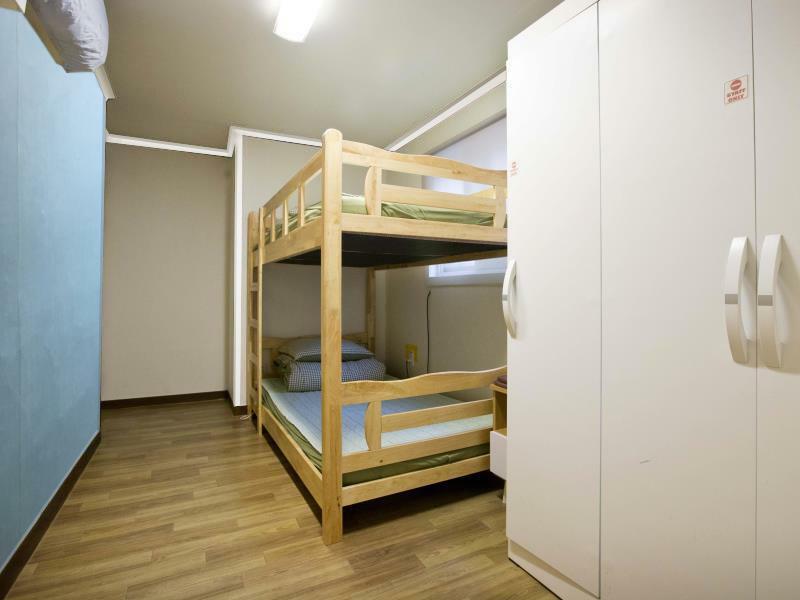 The location of the guesthouse is around 10-15mins walk from hongik uni station exit2. I like the room & the house as it makes you feel like a home. The breakfast is amazing & worth the money. The only cons is you may hear noises from other travelers at the living room especially during night time 12am & early morning 7am. The house is also located a bit far from the shopping area but it is within walking distance. Recommend for those not carrying heavy luggage with you. This is an honest review based on our experience staying in a private room with bathroom. not sure if solo Travelers will encounter the same experience if they only book a bunk bed. The following are the facts and no one can deny this. 1. The room has mosquitos 2. The room is dusty, including the countertop of the window, the aircon, and the walls 3. The bathroom has moulds 4. Water is sometimes hot sometimes cold and pressure isn’t even 5. The owner said that they would only refund us if someone else booked the room, which put potential guests in health hazards. My bf and I were bitten by the mosquitos very badly (over 40+ bites all over the body) On the first night, I was aware of the dust and mosquitos but I thought there was maybe only one, and perhaps it wasn’t too bad so I didn’t make a noise. Unfortunately the next night it was so bad that we couldn’t afford to stay for a risk of getting any more bites - the experience is horrible. Always stay here everytime I go to Seoul.. The staffs are very friendly and helpful. You'll feels like home here.. This our 2nd time in this guesthouse. We met Sunny, the lead receptionist, at the entrance. She was corteous and willing to assist as always. The other receptionist attitude improved a lot as well. The room that we selected was bunk bed with bath. It was good for the price we paid. We love the breakfast. Though it was a simple korean guesthouse style breakfast, it made our tummy full. 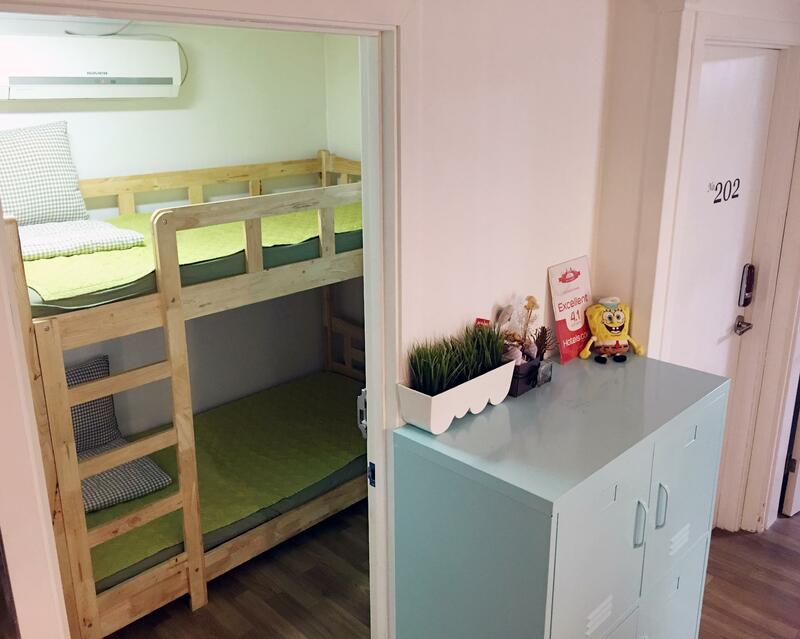 This is the best guesthouse to stay if you want to be near Hongkik University (we prefer to stay in hongdae than in myeondong). Overall, We enjoyed staying in DuriWorld.